Simple and comfortable Velcroed trouser belt ideal for use with the new PCS uniform. 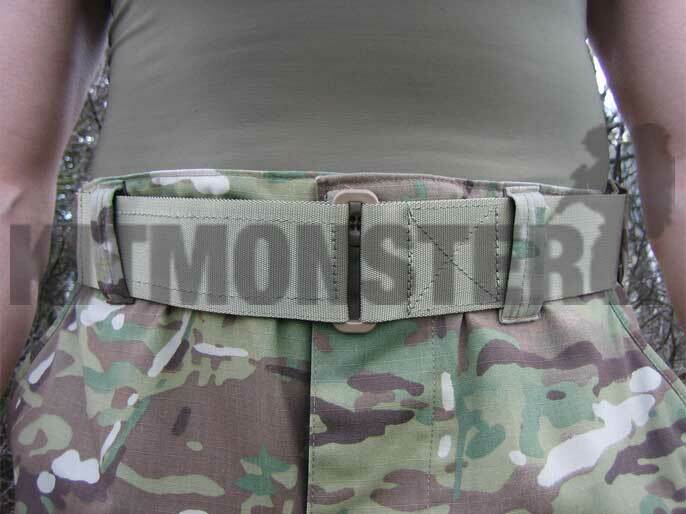 Created at the request of our military customers looking for a belt for PT or to wear under webbing without rubbing. Prototypes have been wear tested across the globe. 5 cm wide light olive nylon strap with flat ring and velcro closure. 4 sizes available, all adjustable within the range of waist sizes shown in brackets after each size. Please note these are the absolute minimum and maximum sizes. UK designed and made using MoD Specification materials throughout. Trousers, T Shirt and our model not included. Excellent bit of kit - soft cordura, low profile and best of all, it keeps your trousers up.